The bluegrass group Nickel Creek started out as teens and were then discovered by Alison Krauss. She used her stardom to help them and they did very well in the early 00s. They split up in 2006 but they reformed and toured in 2014. Nickel Creek are from Vista, CA which is near San Diego. Sean Watkins and Chris Thile were taking mandolin lessons from the same instructor. Sean's sister Sara Watkins was taking lessons from a friend of that instructor. They were all pre-teens at the time. But they decided to form Nickel Creek with Chris Thile's dad Scott Thile playing bass. 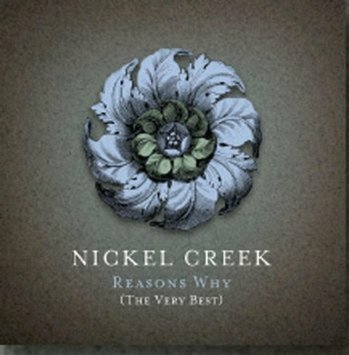 In the 90s, Nickel Creek toured the festival circuit and they self released a couple of CDs. Alison Krauss saw them and agreed to produce their next album and she got them a record deal with Sugar Hill Records. The 2000 CD Nickel Creek was certified Platinum. They were also nominated for a couple of Grammys and CMA awards. They also backed up Dolly Parton on the 2001 Grammy broadcast. Scott Thile retired from the road and he was replaced by various bassists. The 2002 CD This Side aimed to cross over to pop. It was certified Gold and Nickel Creek won a Best Contemporary Folk Album Grammy. 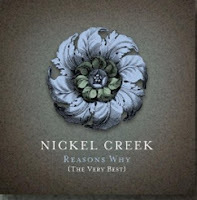 After the 2005 album Why Should The Fire Die?, Nickel Creek decided to split up after a 2006 tour. Sugar Hill released this CD/DVD comp in 2006. All three worked on solo projects and in various groups. They decided to reform in 2014 and they released the CD A Dotted Line on Nonesuch Records and they toured. It's not clear if Nickel Creek intends to continue. Sean Watkins just released a new CD What To Fear and he is touring. Here's the video for This Side by Nickel Creek.